The refrigerator is an integral part of the kitchen, and undoubtedly an appliance that one cannot live without, especially in a warm climate. Today, technology has evolved, and the construction of refrigerators (or fridge for short) has evolved as well. Shoppers are presented with an ever-increasing range of models, colour, style, functions, and enough smart features to transform your kitchen into an entertainment zone. Gone are the days when shopping for a fridge was down to one question: white or off-white? Whether you are refurbishing your entire kitchen or are just in the market for a new fridge, the overload of information is enough to make anybody hot under the collar! But we have narrowed down the most important factors to consider. Settling on a refrigerator is a matter of preference, convenience and available budget, but one needs to consider all models and needs; for example, freezing. •	A Top Mount model provides an upper freezing section, with or without a separate door. •	A Bottom Freezer model has either a drawer/bin or shelf-style freezer on the bottom. •	A Side by Side comes with a freezer on the one side, and a fridge on the other. •	A French Door model has two fridge sections side by side at the top, with a freezing section at the bottom. homify hint: So you have the fridge to cool your food, but what happens when you are filling up your entire fridge (and kitchen space), and are in need of additional freezing storage? Opt for a freezer in an outbuilding, like the garage. Free-standing freezers can serve as the alternative space for purchases like meat, ice cream, and other items you want well chilled – leaving you with more space in your kitchen fridge for other items. Decide on your capacity. If your fridge is your main source of freezing in your home, select an appliance that’ll meet your entire family’s needs. Don’t spend the dough on an overly large fridge and take up more kitchen space than necessary, just to end up with partially empty shelves and high energy costs. Give some extra thought on the look you want (white, coloured, stainless steel… ). 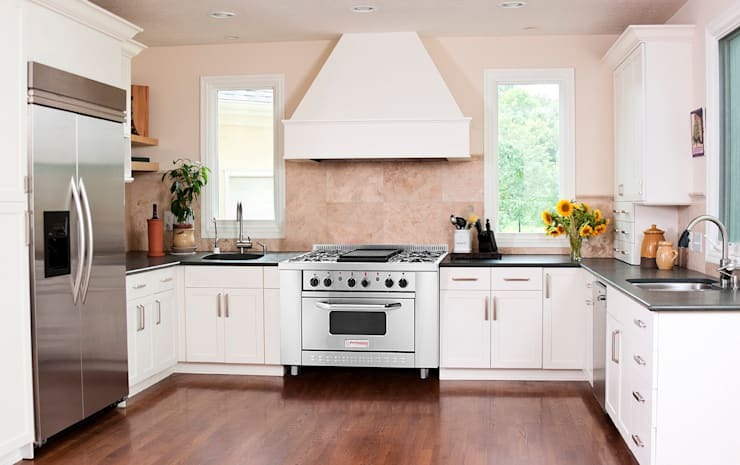 What finish (and brand) will fit into your existing kitchen decor and appliance range? 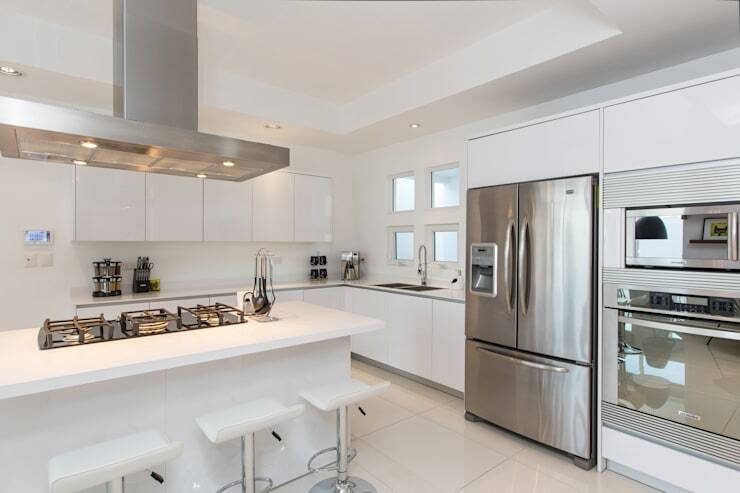 Remember that a house with small children should rather opt for a fridge finish that’s easy to keep clean and limit fingerprints, like a pebbly white finish (a smooth, glossy exterior will highlight those scratches and smudges). homify hint: Need to chill a bottle of wine ASAP? Wrap it in a damp dish cloth and pop it in the freezer. The cloth conducts the cold faster and is more efficient, as it covers the bottle’s entire surface. 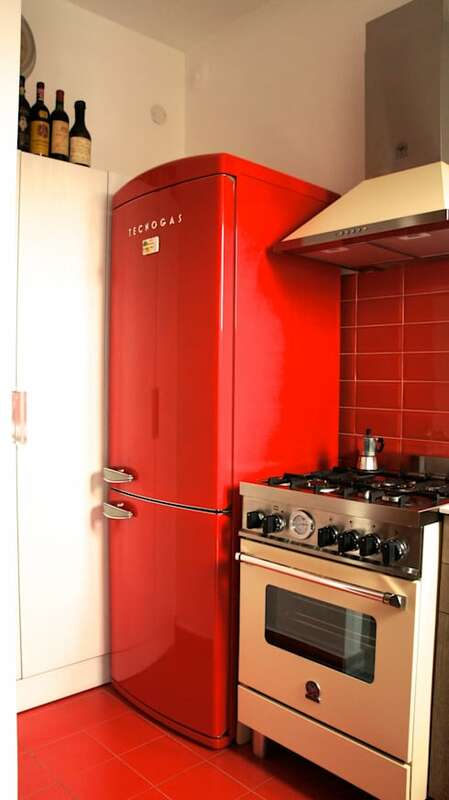 Why not opt for something colourful and picturesque in terms of a fridge? Take a look at some unique examples by German team Creatisto GMBH. 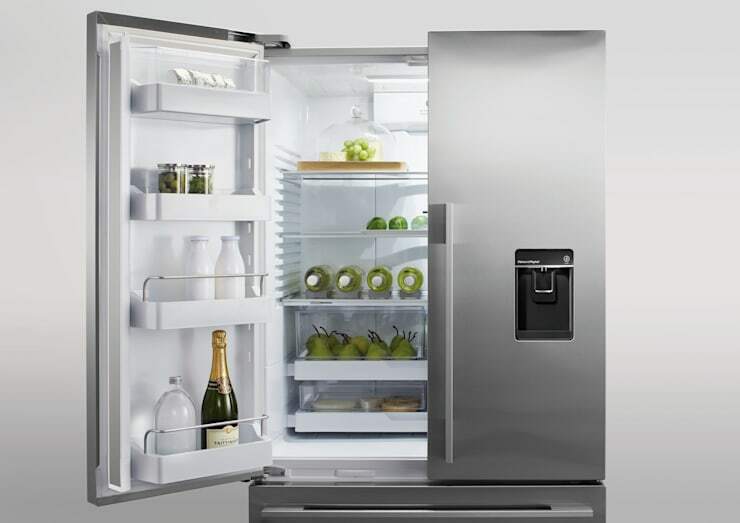 Do you have enough room to open your fridge door? Measure your space and take your measurements with you when going shopping. Measuring is especially important when replacing an old fridge, as the new one needs to fit in perfectly into the previous one’s spot. Remember to think about ventilation as well. Whether you want a freestanding fridge, a small one under the counter, or a built-in model, all fridges (and freezers) need a little space around the appliance for optimum performance. As a rule of thumb, allow a 5cm gap at the back between the appliance and the wall, with a 2cm gap around the sides to ensure air can circulate properly without overheating. 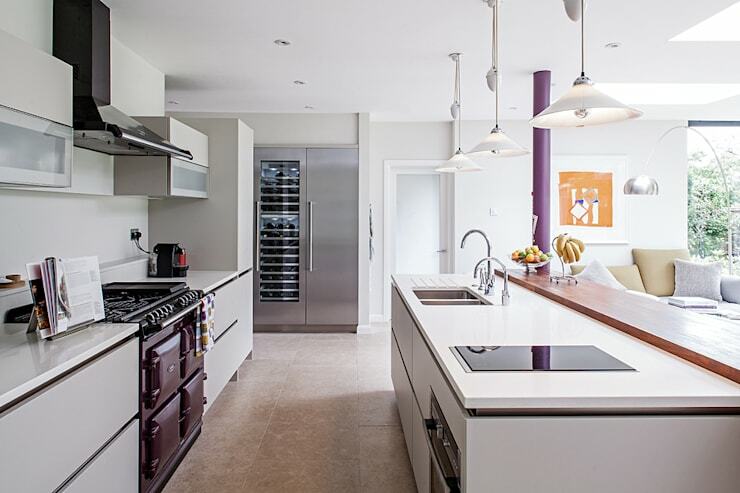 homify hint: Check your home’s entry path to the kitchen to ensure you’ll get your new fridge in. And remember that you’ll need an electrical outlet and plumbing if you’re eyeing that model with an ice and water dispenser. A refrigerator is certainly one of the biggest energy guzzlers in a house, considering that it is on all the time. In the olden days, they used to chow the electric bill, but thanks to recent improvements in insulation and compressors, a new model uses much less energy than the older ones. Energy Star-certified fridges help you maximise your cost-savings, and are about 9-10% more energy efficient than older models (effectively reducing our impact on the environment). New fridges are now labelled A+++, A++, or A+, based on their energy consumption (A+++ is the most efficient). So remember to look out for these ratings when shopping! homify hint: Fill your freezer! With a full freezer (with less room for air to circulate), the appliance will use less power, so be sure to keep it stocked. A great fridge needs a great kitchen. 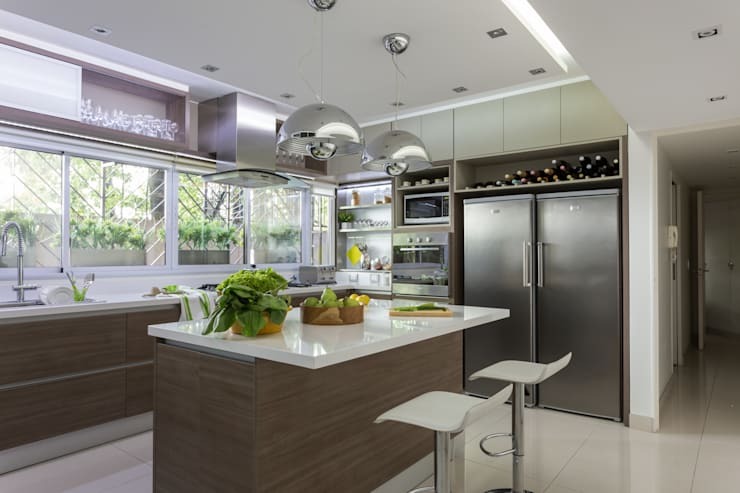 Take a look at: Top 6 Kitchen Trends for 2015. The typical base model fridge generally has 1-2 drawers, wire shelving, non-adjustable shelves/boxes, and only a small shelf for freezing. For a lot of people, this is a sufficient fridge, and they don’t need any fancy features that seem to dominate a lot of models these days. However, some features are quite fantastic, like the in-door water and ice dispenser, and could encourage your family to drink more water. On the other hand, this will influence the paying price, and will require a plumbing hook-up at home. •	Humidity-controlled drawers (allowing you to set the temperature cooler than the rest of the refrigerator: ideal for meat, fish, and cold cuts). Some drawers can also chill or thaw their contents quickly. •	LED lighting (LEDs take up less space than incandescent light bulbs and use less energy). •	A bottle rack, which frees up space in the fridge’s door and prevents bottles from rolling around. •	Flat panel TV mounted on the door front (for those techno-savvy cooks). Antibacterial coatings are an additional feature in a lot of today’s fridges, and are becoming increasingly popular. It is an added covering that ensures your fridge’s internal surfaces are pre-treated to reduce odours, thus preventing the spread of bacteria. Although this is a great feature, a lot of people aren't too wowed by this, and choose to follow the basic rules of hygiene instead of paying extra for this function (i.e. keeping cooked and raw food separately, and storing all food in containers). However, the choice remains yours. homify hint: Do you do a weekly shopping of groceries, or prefer to bulk up once a month on provisions? This will obviously influence the size of the fridge that you’ll need to buy. Remember these tips and tricks when eyeing a new fridge, and make sure your choice is perfect in terms of functionality and aesthetics. Happy shopping! A little planning before a little shopping can make a big difference. What other tips can you add before picking out a new fridge?